"Frank and funny, you can't put her down." "Edwina deserved to go far .. she had ordinary people's interests at heart." "She is a talented,brave and thoughtful woman, and one of the best communicators the Tories have." "Few women can lay claim to the word 'magnificent', but Currie is now surely one of them." 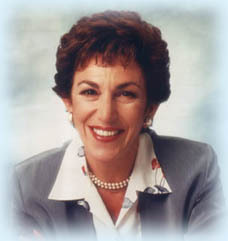 Edwina Currie was born in Liverpool, UK in 1946 and went to the same school as Beatles George Harrison and Sir Paul McCartney. Much of her education was spent in the Cavern Club listening to their music. She won a scholarship to Oxford University to read Chemistry; surrounded by Nobel prize winners, she switched to Philosophy, Politics and Economics. Also present (1968) was William Jefferson Clinton, hiding behind a beard. She took her Master's degree in economic history at the London School of Economics, an experience which turned her into a life-long Conservative. Edwina has had three successful careers - so far! After a decade of public office in the city of Birmingham, she stood for Parliament in 1983 and represented a Midlands seat for 14 years. She became one of the nation's best known MPs and served in Margaret Thatcher's government 1986-88, in the Department of Health. She became famous for her campaigns on heart disease, women's cancer screening and the promotion of healthy lifestyles. She was also involved in the first AIDS campaign in the UK that saved many lives. She was voted "Speaker of the Year 1990" and awarded "Campaigner of the Year 1994" in the Spectator Parliamentarian Awards. She resigned over food safety (salmonella) in December 1988, and turned down John Major's request to return to government in 1992. In all she has published eleven books. She started with non-fiction, then turned to novels which were instant best-sellers in the UK. Her "Diaries 1987-1992" were published in 2002 to excellent reviews. “Diaries Volume II 1992-1997” appeared in 2012; one commentator said, “The two volumes are the best account I know of the experience of being a woman in British politics: it's the personal dimension as much as the political that makes them such a valuable record. In fifty years' time, students will be reading them and (one hopes) shaking their heads in bewilderment at such a strange world. (Alwyn W Turner)”. Career number three started after the General Election in 1997 which brought Tony Blair to power. Edwina lost her seat, and was promptly offered a job by the BBC. For many years she has been a well-known radio and TV presenter and performer. For five years she had her own very successful radio programme, Late Night Currie, with live phone-ins and reportage on topical issues. In 2004 Edwina featured in Hell's Kitchen with chef Gordon Ramsay; that year she was also winner of BBC TV's Celebrity Mastermind 2004. In 2006 Edwina and her husband John appeared in Celebrity Wife Swap with Channel 4 racing commentator John McCririck and his wife Jenny, while in 2007 for the This Morning programme came the challenge of living for a week on the ITV building roof on London's South Bank with only a laptop for company. In late 2008 she presented a BBC special on the 40th anniversary of Dr Beeching's railway cuts. The whole family appeared on All Star Family Fortunes in 2009 winning a substantial sum for their chosen charities, while numerous other celebrity shows include Cash in the Attic, Bargain Hunt, Eggheads, Weakest Link (twice), Come Dine with Me (twice), Ant and Dec’s Saturday Night Takeaway and of course, Strictly Come Dancing 2011. In September 2009 Edwina enjoyed appearing with James May for James May’s Toy Stories, when he built a Meccano bridge in Liverpool. Recently she and Diane Abbott MP won Celebrity Pointless on BBC1. 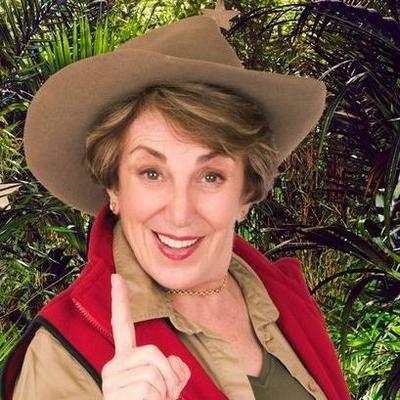 And in December 2014 she featured in ITV’s “I’m a Celebrity - Get Me Out of Here!”, which had a record 11 million viewers and won the 2015 National Television Award for Most Popular Entertainment programme. Edwina has been called "the best communicator the Tories have," and "a brash and energetic life force." 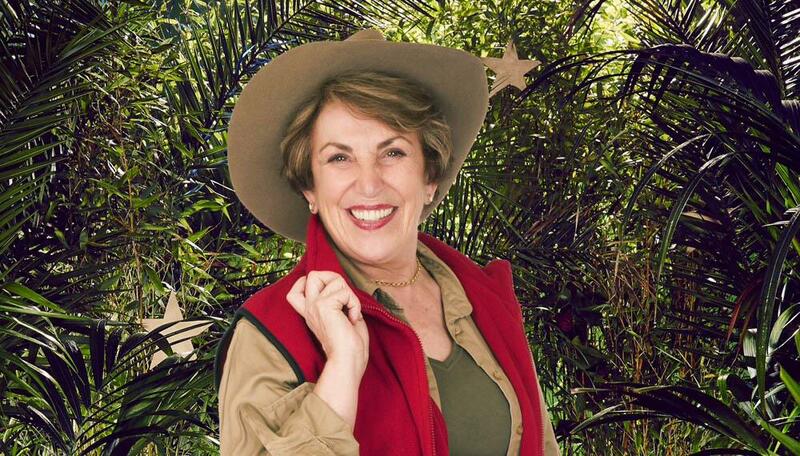 Her life to date has been summed up by fellow writer and MP Sir Julian Critchley: "Edwina Currie has a brass neck, a silver tongue and a golden pen."